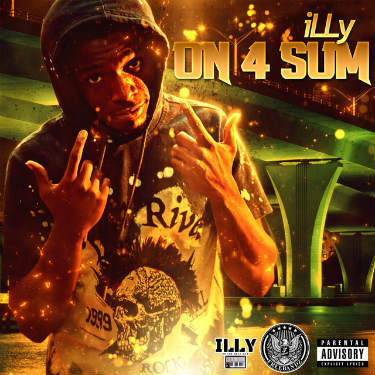 New single available from rapper, “iLLy,” titled On 4 Sum. It’s a pretty straightforward hip hop song, which utilizes some moderate vocal effects processing and overall is pretty smooth. iLLY has a pretty good flow and transforms his voice into a prominent instrument. The backing music is melodic and easy on the ears. It kind of has the feel of a late night, laid back radio jam. The backing vocals add an extra dimension to the song giving it a fullness and complexity to push it to the next level. This guy’s music will likely continue to get better as he begins to experiment more with the sound.